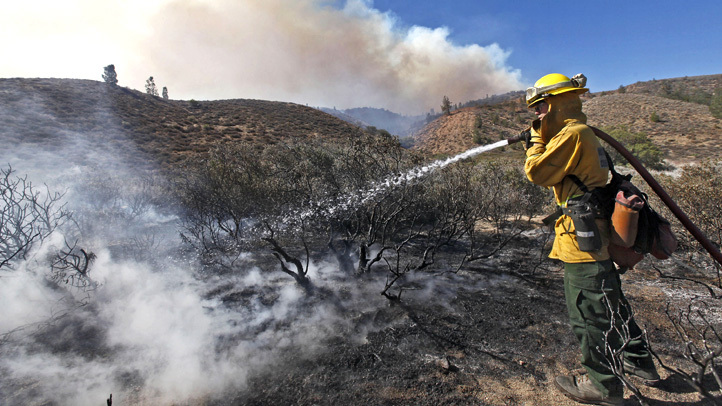 Victims of wildfires this year in Monterey County are being urged by the Monterey County district attorney to be cautious as they go back to their homes and seek services to restore their lives. Monterey County District Attorney Dean Flippo is warning people to be cautious of people who may try to take advantage of a resident's misfortune. Various scams may occur such as charity fraud, price gouging and insurance scams, prosecutors said. At least one county office received fraudulent invoices recently for fire extinguisher inspections, according to prosecutors. A suspect has been arrested in the case. Prosecutors recommend downloading the county's Post Disaster Awareness brochure for information on how to avoid becoming a victim of a scam and for important phone numbers for anyone who becomes a victim. The brochures are also available at public libraries, chambers of commerce and the county building and planning departments. Anyone with questions or concerns about disaster services, which are being offered or which are being sought, can call the Monterey County District Attorney's Office at (831) 647-7770 or local police.